Wow! 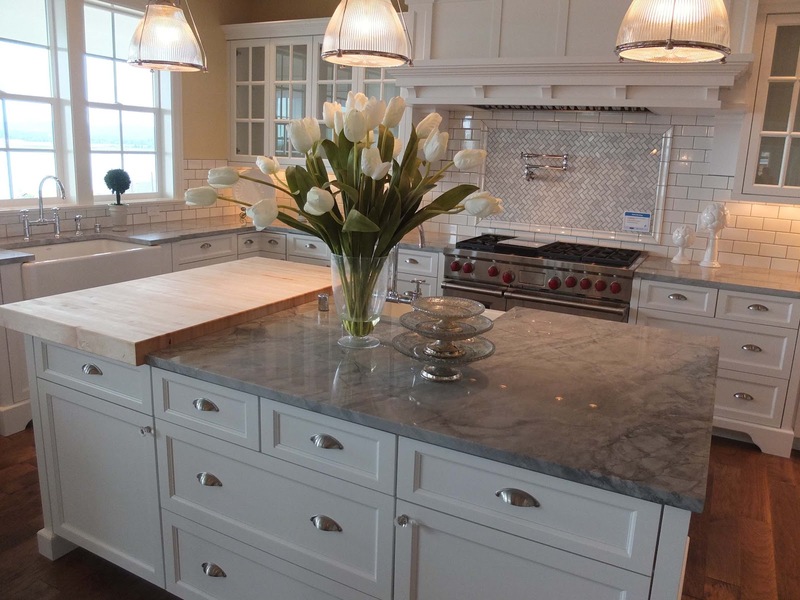 Look at those beautiful new quartzite countertops just installed in your Bucks County, PA home! That’s what they’re made of, right? If you look past the pots and pans, over the dry goods, through the paper towel roll and next to that stack of placemats, the three inch squared spot exposing your counter really shows off the beauty of it! I think it’s, err, quartzite? There’s not really enough showing to tell for sure. OK, so maybe there’s too much stuff cluttering up your kitchen. Let’s make an organizational game plan. The first thing to do is get rid of redundant/unnecessary items. Sure, you swore you’d use that crock pot on the regular when you first bought the thing, but we all know it’s been sitting on your counter unplugged since right after you made chorizo for that Macarena party back in 1993. Put it in the basement already. Spices also take up a lot of real estate, and chances are you have duplicates, triplicates and so on. Who needs 7 chili powders? Take a long hard look at yourself in the mirror, then go through all of your items one by one. Ask yourself, “Do I really use this thing?” If the answer is yea, let it stay. If the answer is nay, throw it away (or donate it or something). So, you’re done purging. Great! If you feel extremely emotional at this point, you probably have hoarding tendencies, so you might want to consult a psychologist. Otherwise, let’s move on the step 2! There are many approaches you can take to organizing. An essential ideology to which you should subscribe is this simple one: If it shouldn’t be on the counter, don’t leave it on the counter. As for the random items that we like to keep in our kitchen (things like scissors, notepads, pens and pencils, etc. ), consider storing them in a basket, which you can place in the back corner of your counter space. When it comes to your large utensils, spatulas, wood spoons and so on, keep them in a jar on the counter, so you don’t clutter and fill up valuable drawer space. If you have a Keurig or something similar, think about storing the k-cups together in a jar that you keep next to the coffee maker. That’ll save you on drawer or cabinet space, and allow you to snag a cup and plop it in the machine easily! These are just a few starting points that will make a world of difference in freeing up space on those gorgeous quartzite countertops in your Delaware County, PA home! This part is more of a mindset than anything else. Once your space is completely decluttered and organized in a way which suits you, the challenge will be maintenance. It can be tough not going back to your old habits, but we believe in you. Doesn’t it just feel so much better to work in a sensible space with lots of countertop room anyway, though? So what are you waiting for? Have at it! Also, keep on the lookout for subsequent Countertips from us here at Cosmos!